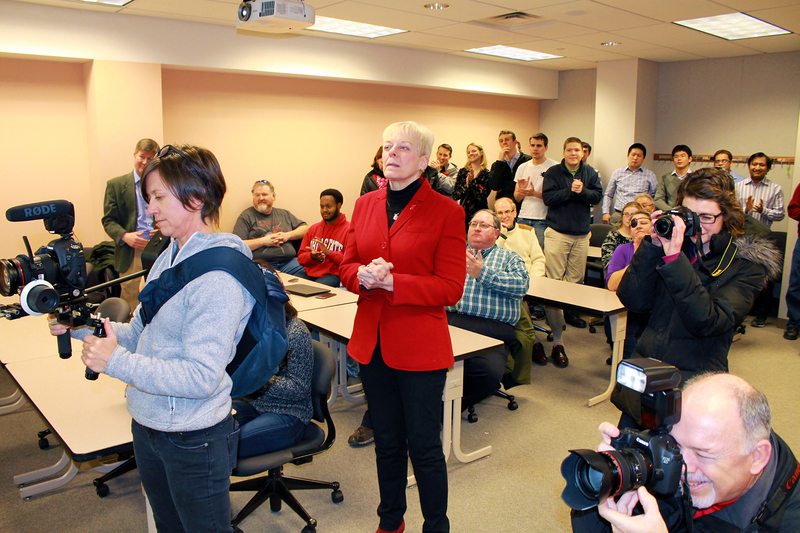 OSU President Michael Drake presents ECE Prof. Dr. Steven Ringel with 2015 Distinguished Scholar Award in surprise ceremony.As more and more people suddenly filled the small conference room in Dreese Laboratories Friday, Ohio State University Department of Electrical and Computer Engineering (ECE) professor Dr. Steven Ringel knew something was up. 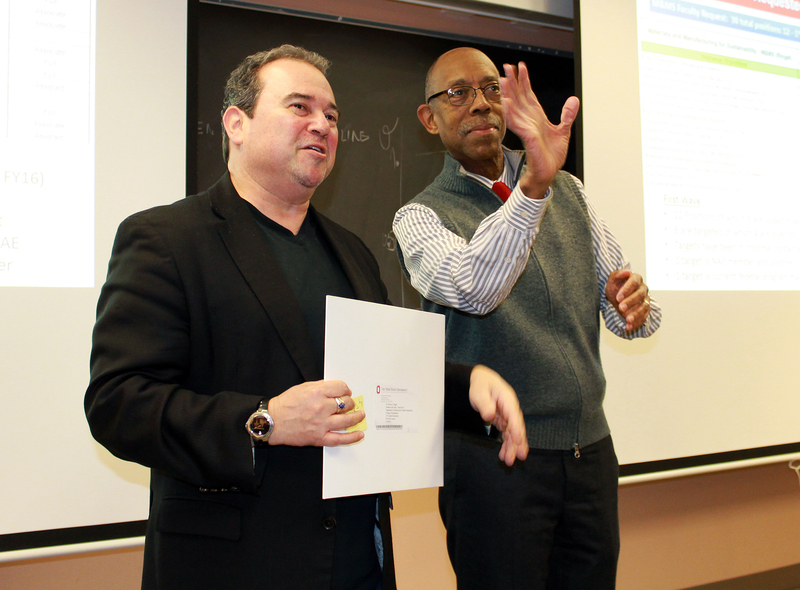 Specifically, the award touches upon Ringel’s scholarly activities in wide bandgap semiconductors and photovoltaics, as well as his leadership of the OSU Institute for Materials Research (IMR) and, most recently, as the Principal Investigator of the Materials and Manufacturing for Sustainability Discovery Theme Initiative. 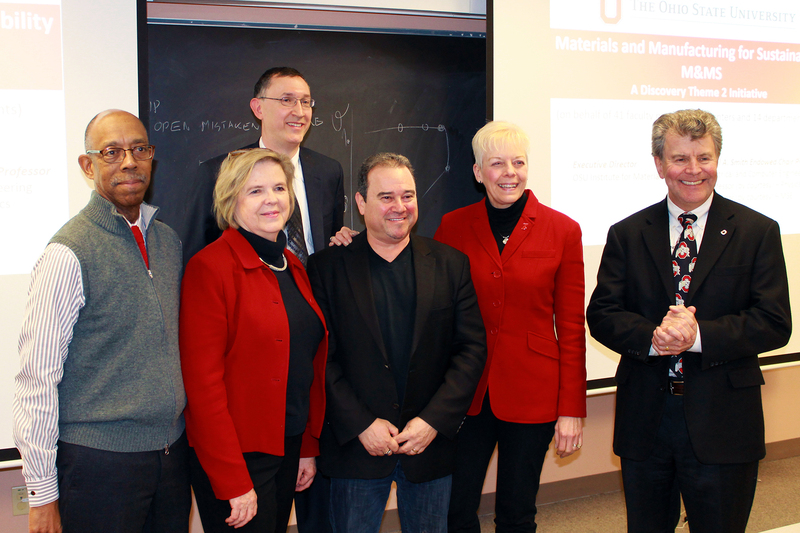 ECE faculty and staff, members of Ringel’s research group, as well as President Drake, College of Engineering Dean David Williams, Vice President for Research Carol Whitacre, and Senior Associate Vice President for Research Jan Weisenberger all spoke about Ringel’s accomplishments in research and in propelling Ohio State to excellence in materials-allied research. The Distinguished Scholar Award, established in 1978, recognizes exceptional accomplishments by senior professors who have compiled a substantial body of research. The award is supported by the Office of Research. Recipients are nominated by their departments and chosen by a committee of senior faculty, including several past recipients of the award. Distinguished Scholars receive a $3,000 honorarium and a research grant of $20,000 to be used over the next three years. 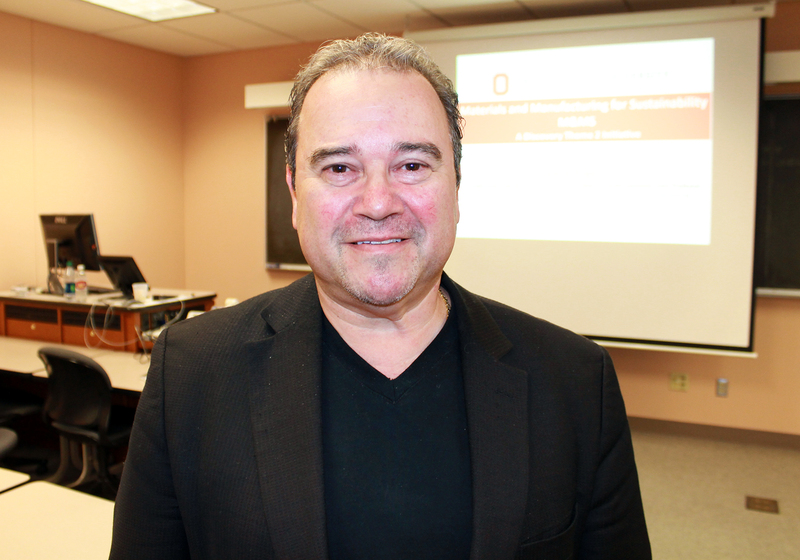 Ohio State administrators said the award touches not only upon the quality of research Ringel has conducted in the past, but also of the achievements they know are coming in the future. ECE Chair Joel Johnson added his congratulations.